I can’t help falling in love with you…..
oops, i did it again…. 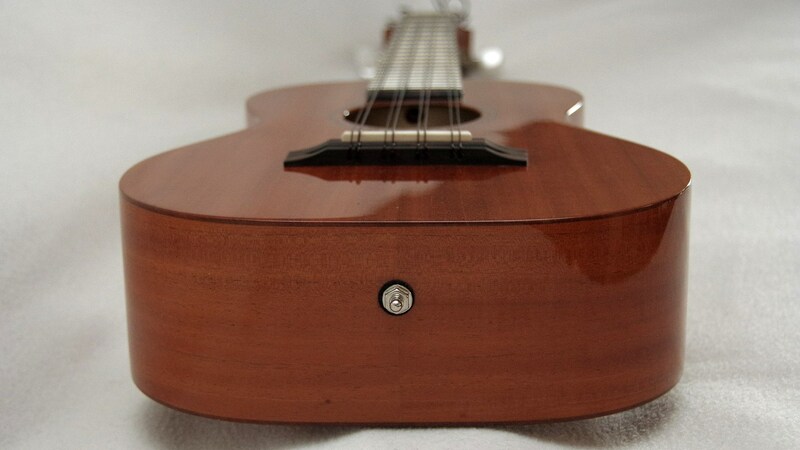 i only just recently sold my kala 8string to a good friend for a couple of good reasons: i hardly ever played it, it felt too large (concert is my standard size), the neck felt to narrow, i still have more ukes than i can play at once…..
then i saw this solid mahogany 8-string pono up for sale. 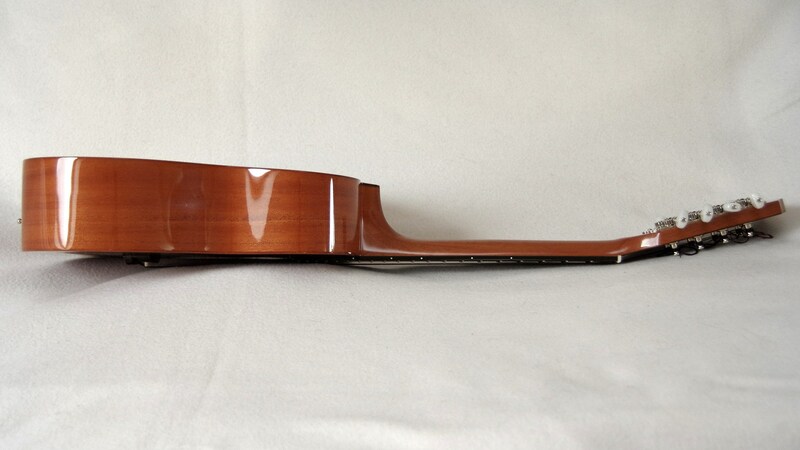 again 8-string tenor, again glossy finish, again equipped with living water strings. 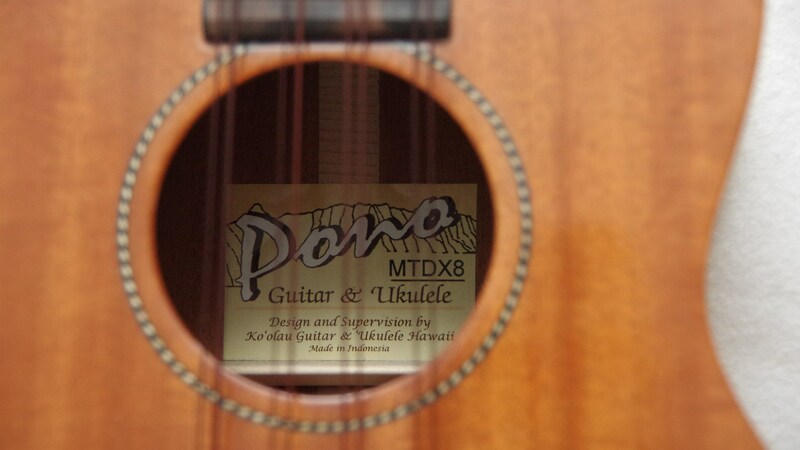 but this time a pono, the brand known for “fat” necks. plus equipped with loxx® strap buttons. first quick research on the web didn’t help against uas, so i finally pulled the trigger and got it 🙂 . 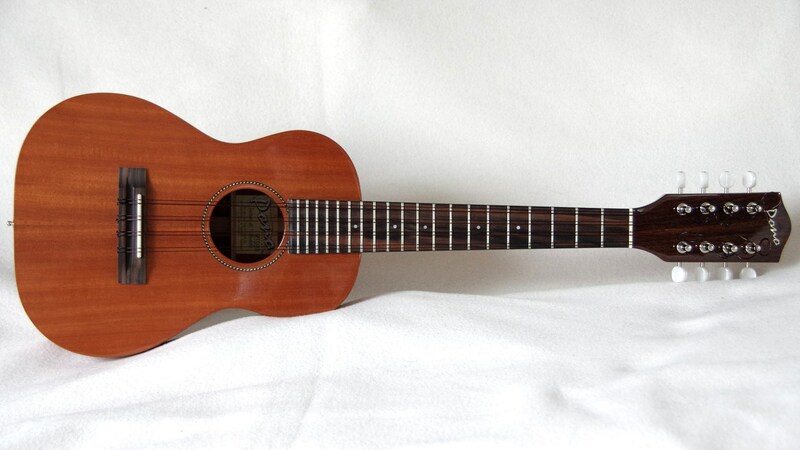 and i already have plans with it: having read somewhere that the factory default ko’olau mahana strings are all of a very similar gauge (but different density) i ordered a set for testing; at the same time i also ordered a set of worth brown (which i liked a lot on the solid mahogany mainland), i expect them to be a perfect wintertime string set on this ukulele. both sets were in stock at southern ukulele store in the uk where the staff was very helpful in responding to all my questions. the plain and simple look reminds me of the mainland classic – might not be for everyone, but this is what i like. the wood grain is fairly subtle, hard to capture properly in a picture. build looks flawless all around the out- and inside. even without a strap the “fat” pono neck felt as if it was made for me; fretting feels much easier than on the kala 8-string. 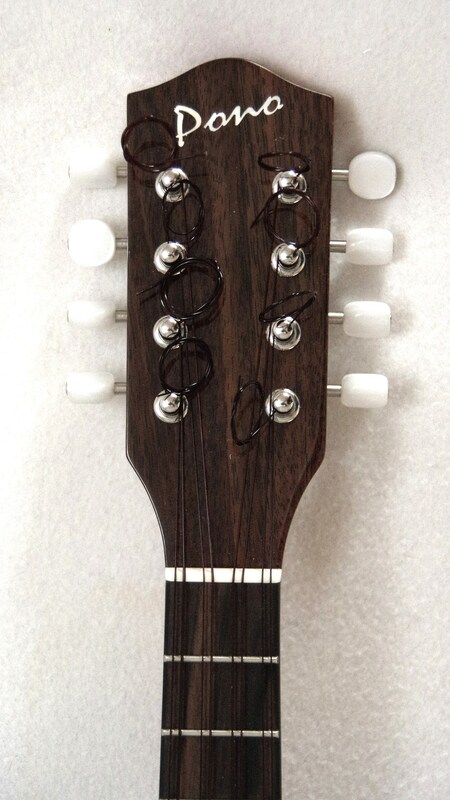 pretty well balanced yet slightly heavier on the headstock side: center of gravity is at 10th fret. nothing to worry about, especially when playing with a strap like i do. 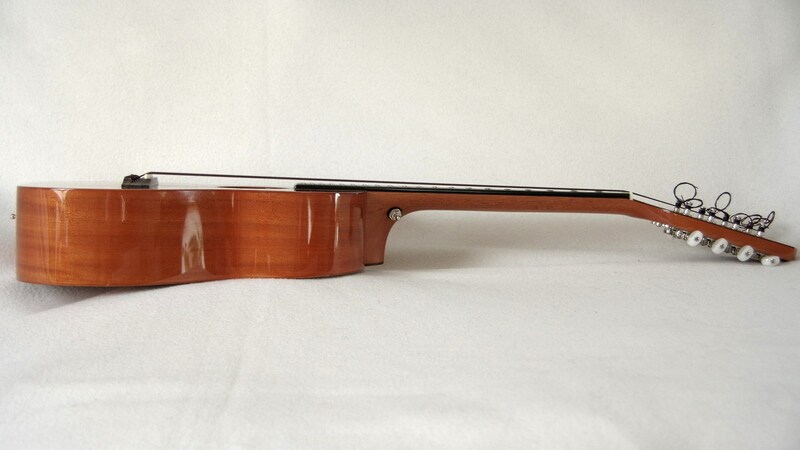 i usually don’t use straps unless absolutely necessary like on the blackbird clara, the 8string tenor and the ubass. 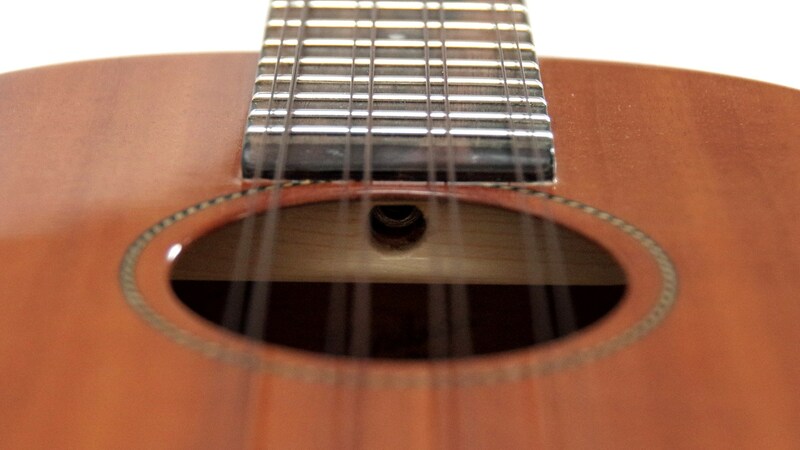 as already said for the kala: 8 string ukuleles sound more than simply 2x 4 strings, simply because not all strings are doubled. 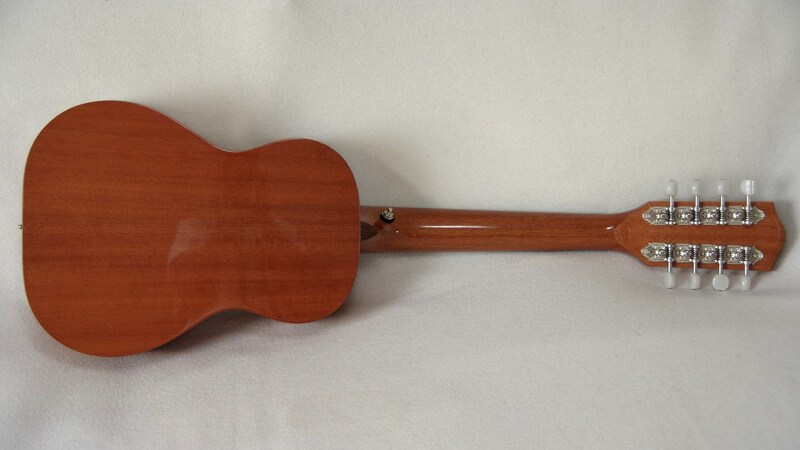 the bright living water strings reminded of a mandolin on the koa laminate, they sound a tad mellower here on the solid mahogany. i don’t know whether this is more related to (unknown) string age or the different tonewood, though. most probably a mixture of both. anyway, i already put on the worth brown medium which are a great match (and settled pretty quick).